One of these secret projects is ‘Project Munchkins’, a new breed of genetically enhanced super bunnies, designed to decimate enemy crops (actually to help winter uniform production). 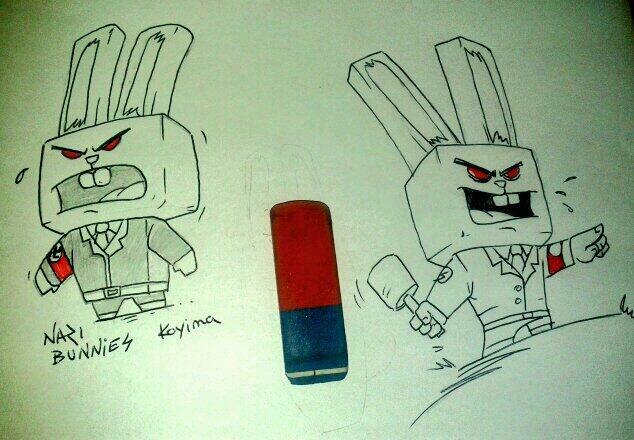 The project exceeds expectations as the bunnies gain intelligence and become more humanoid, they become: Nazi Bunnies! It is your job to defend the ‘Allied Crops’ with the latest in WWII era technology. 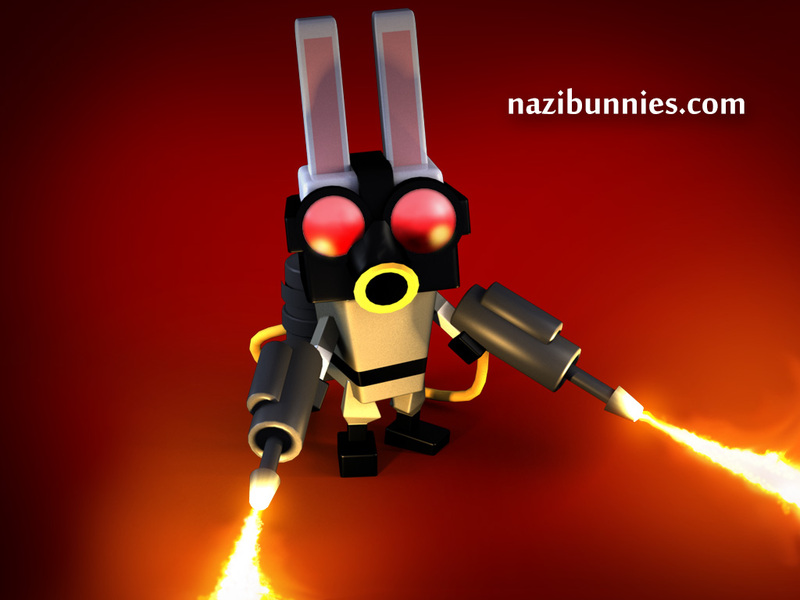 Defend your Crops from the endless hordes of mutant Nazi Bunnies that have been unleashed upon them. 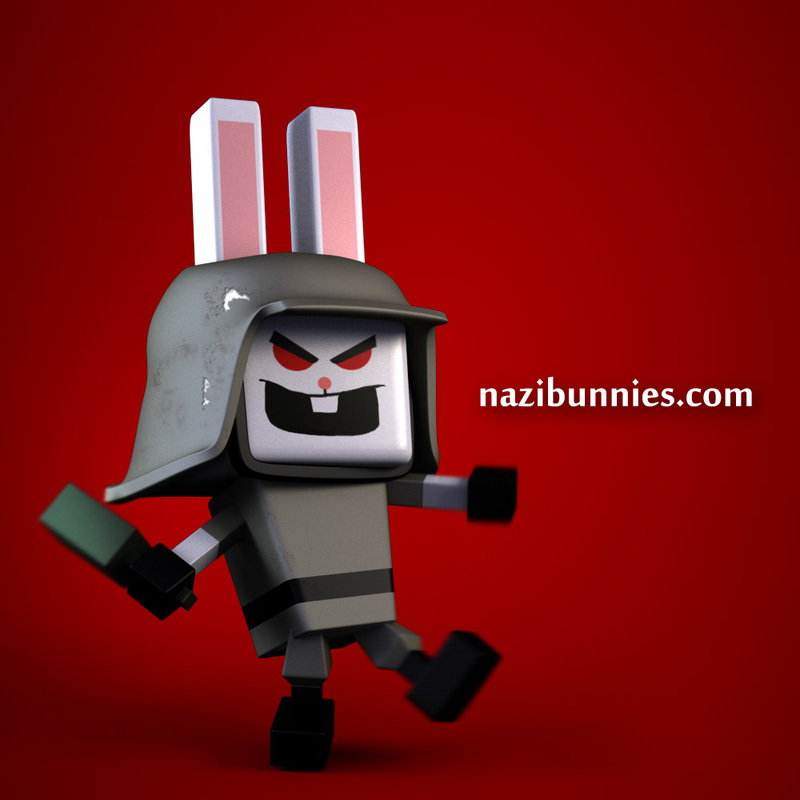 You have a whole arsenal of weapons available, both for direct use and as towers on the battlefield, in order to defend against and decimate the Nazi Bunnies.